Mullet jeans. Can you even believe we’re using the word mullet again? After the short-at-the-front and long-at-the-back dresses started to disappear, we thought the word was done for a while—and that’s exactly why fashion month is exciting, it gives us the opportunity to see trends in a new light. Following the recent shows at New York, London, Milan and Paris, we’ve been having some fun deciphering all the mini-trends that come right off the street. Over the next few weeks, we’ll bring you little snippets of what we’ve seen, and to kick things off, we’re starting with mullet jeans. They’re an extension of the raw-hem details we’ve been seeing over the past few seasons, but one step further with an extra bit cut higher at the front. The mastermind behind the design is actually one half of Vetments—the label led by Demna Gvasalia (who was just appointed as the new creative director of Balenciaga). I was uncertain at first—but now I’m convinced. Keep listening. They’ll draw attention to your ankles—the slimmest part of your leg. And what does that do? Helps lengthen your pins. And if you needed another reason to try them, the extra little cut out highlights your most amazing pair of heels or ankle boots. Keep scrolling to see our favourite looks and then shop the trend. 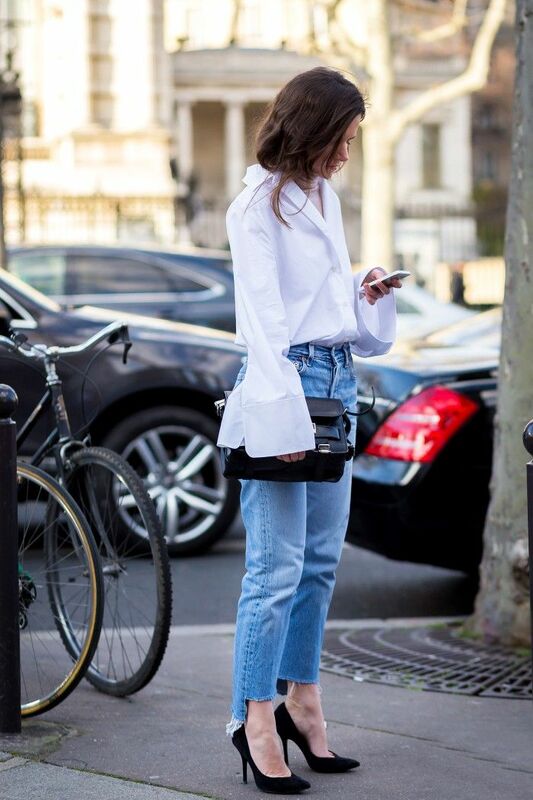 What do you think about this mini-trend? Will you be trying a DIY or buying into it? Let us know in the comments!